Now, high function eyewear doesn't have a high anxiety price. Which means workers won't just feel better wearing the sleek, contoured and fully adjustable BX� Eyewear from AOSafety. You'll feel better buying it. Specify BX Eyewear. Comfortable for them. Affordable for you. High impact polycarbonate lenses with 99.9% UV Protection Soft, universal fit nose bridge Sliding temple lengths Variable lens angles 1.5 Diopter Reader Lens Meets ANSI Z.87-2003 Standards Meets Military V0 High Velocity Impact Protection Standards This item cannot be shipped to APO/FPO addresses. Now, high function eyewear doesn't have a high anxiety price. Which means workers won't just feel better wearing the sleek, contoured and fully adjustable BX� Eyewear from AOSafety. You'll feel better buying it. Specify BX Eyewear. Comfortable for them. Affordable for you. High impact polycarbonate lenses with 99.9% UV Protection Soft, universal fit nose bridge Sliding temple lengths Variable lens angles 2.0 Diopter Reader Lens Meets ANSI Z.87-2003 Standards Meets Military V0 High Velocity Impact Protection Standards This item cannot be shipped to APO/FPO addresses. Now, high function eyewear doesn't have a high anxiety price. Which means workers won't just feel better wearing the sleek, contoured and fully adjustable BX� Eyewear from AOSafety. You'll feel better buying it. Specify BX Eyewear. Comfortable for them. Affordable for you. 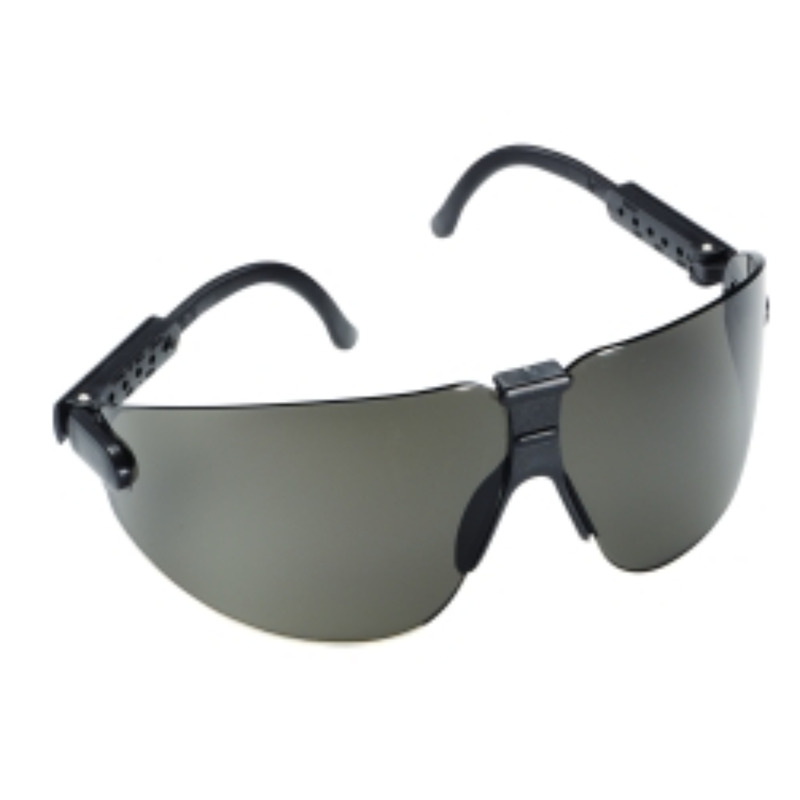 High impact polycarbonate lenses with 99.9% UV Protection Soft, universal fit nose bridge Sliding temple lengths Variable lens angles 2.5 Diopter Reader Lens Meets ANSI Z.87-2003 Standards Meets Military V0 High Velocity Impact Protection Standards This item cannot be shipped to APO/FPO addresses. Now, high function eyewear doesn't have a high anxiety price. Which means workers won't just feel better wearing the sleek, contoured and fully adjustable BX� Eyewear from AOSafety. You'll feel better buying it. Specify BX Eyewear. Comfortable for them. Affordable for you. High impact polycarbonate lenses with 99.9% UV Protection Soft, universal fit nose bridge Sliding temple lengths Variable lens angles Meets ANSI Z.87-2003 Standards Meets Military V0 High Velocity Impact Protection Standards This item cannot be shipped to APO/FPO addresses. 3M� Easy-Change� windows are available in a wide variety of sizes for different applications.. All Easy-Change� shields mount quickly to 3M� headgear without tools, snaps or cams. 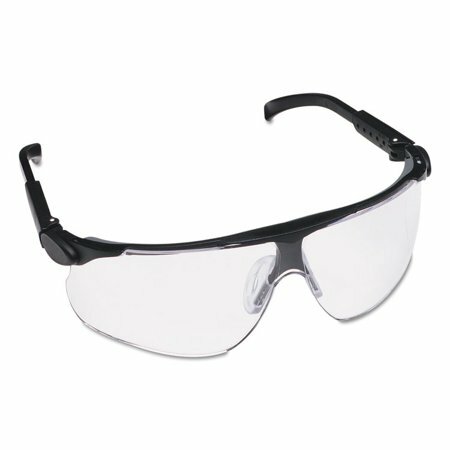 They are designed to protect workers in metalworking, utilities, forestry and many other industries. 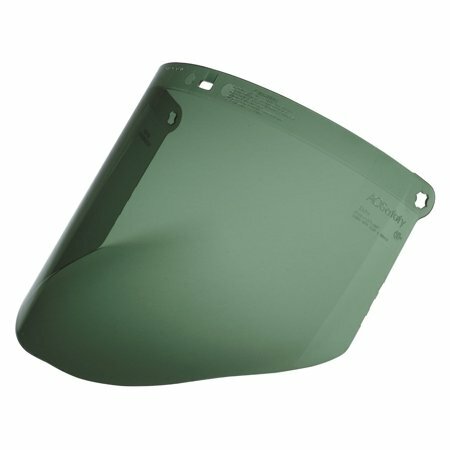 WP96C is a dark green polycarbonate faceshield that is pre-molded for easy installation. Molded .080" window Mounts quickly to AOSafety headgear without tools snaps or cams Extra heavy duty, impact protection. Green tint reduces glare. Meets ANSI Z87.1-2003 Standards This item cannot be shipped to APO/FPO addresses. Pump up compliance levels with the smooth design and bold attitude of AOSafety� Fuel2� eyewear. The tough, durable nylon frame hold a high impact lens that blocks 99.9% of harmful UV rays. Tough, durable nylon frame Soft Touch nosebridge High impact resistant lens blocks 99.9% of harmful UV rays Streamlined frame design fits and looks great on most face shapes Meets ANSI Z87.1-2003 Standards Microfiber bag & Lanyard included This item cannot be shipped to APO/FPO addresses. Pump up compliance levels with the smooth design and bold attitude of AOSafety� Fuel� eyewear. The tough, durable nylon frame with vented temples featuring color accents hold a high impact lens that blocks 99.9% of harmful UV rays. Tough, durable nylon frame Soft Touch nosebridge High impact resistant lens blocks 99.9% of harmful UV rays Streamlined frame design fits and looks great on most face shapes Meets ANSI Z87.1-2003 Standards Microfiber bag & Lanyard included This item cannot be shipped to APO/FPO addresses. Never before has eye protection looked so good and felt so natural. The 3M� Lexa� lens curves around the face to appear virtually invisible to the wearer while providing optimum, full coverage. Lexa� eyewear is available in two lens sizes, and the already comfortable fit can be fine-tuned by adjusting the lens angle, temple length and Easy-Change� Lens. Lexa� features DX� Anti-Fog Lens Coating to resist fogging, scratching, static and chemical attack. Refined, sleek Duralite polycarbonate lens designed to fit the contours of the face. Lens provides a wide view of the work area with no parting lines. DX� anti-fog hard coat guards against fogging, scratching, static and chemcial attack. Two sizes (Medium fits most workers). Lens angle and temple length are adjustable for a custom fit. Interchangeable replacement lenses provide real savings. Absorbs 99.9% of UV. Ultra lightweight for all day comfort. Strap option available for use with earmuffs or in active applications. Optional clear replacement nosepiece. Optional clear hi-set nosepiece. Custom imprinting available. Meets ANSI Z87.1-2003 high impact standards This item cannot be shipped to APO/FPO addresses. The bright & right choice. Light vision is the first industrial eyewear designed with integral hands-free lighting. Now, individuals can see and work safely in dark environments easier than ever before. Light vision is another bright idea from AOSafety. Soft rubber temples and nose pads for extended wear comfort Long battery life-Up to 50 hours Dual hands-free temple lights swivel/adjust for bright directional beams Wide coverage wraparound design protects against flying particulates Machinery Automotive repair Medical and Lab work Wire junction boxes Night rescue Police search and wherever extra light is required Meets ANSI Z87.1-2003 and CSA Z94.3 High Velocity Tests. This item cannot be shipped to APO/FPO addresses. When first introduced, Maxim� set the standard with the industry's first dual-aspheric plano lens with prescription-quality clarity, a dual-injected molded frame 15% lighter than competitive models, an ultra high-style design, and an unprecedented list of performance and custom-adjust features. Now, the Maxim� Series offers the innovation of DuoForm� mold processing. This dual-injection technology helps produce frames up to 15% lighter than competitive eyewear as well as elastomeric browguards and temple accents for optimum facial comfort and impact/energy absorption. With 6.5 Base Curve Lens Soft Elastomeric Browguard and Nosebridge DX� Coating: anti-fog, anti-scratch, anti-chemical attack and anti-static Universal fit nosebridge pivots to the comfortably fit most nasal profiles Patented 3-position pantascopic lens adjustment moves lens up and down on the face for optimum fit and sightline Adjustable temple length for a custom, comfortable fit Dual-injected cushion browguard provides dual benefits because the softness feels good on the head while its density helps absorb energy Ventilation channel helps prevent fog and heat by channeling warm/moist air out and cool air in for added comfort Superior orbital eye socket coverage is made possible with stylish, wrap-around lens. Virtually no area of the eye is exposed to particulates Never before has a line of safety eyewear been so decidedly superior. So expertly engineered. So optically perfect. Until Now. 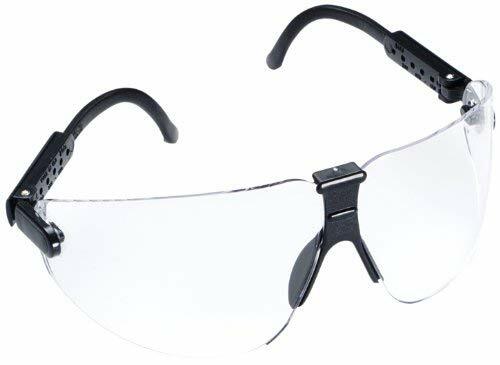 Prescription-Quality Clarity means better sight and less eye strain for longer, complaint-free wear Meets ANSI Z.87-2003 Standards Meets Military V0 High Velocity Impact Protection Standards This item cannot be shipped to APO/FPO addresses. Metaliks� Eyewear features a polished metal frame and a 10 base lens combine to create this stylish wraparound eyewear. The first 10-base curve lens in safety eyewear provides maximum protection. Formable, rubber tipped temples and a soft, adjustable wire nosebridge give workers the ultimate custom fit. 10-base lens Rubber tipped temples Soft adjustable wire nose bridge Metal frame Meets ANSI Z87.1 Standard This item cannot be shipped to APO/FPO addresses. 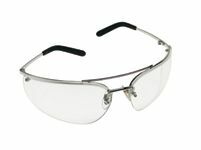 New Metaliks� Safety Eyewear. The polished silverized metal frame, comfort of the spatula temples, sleek 10-base de-centered lens, and the convenience of an adjustable fit not only puts METALIKS in a class of its own, it puts them way beyond the standard. Adjustable rubber tipped temples. Soft, universal fit nose bridge Metal frame Meets ANSI Z87.1 Standard This item cannot be shipped to APO/FPO addresses. Nuvo� Eyegear. 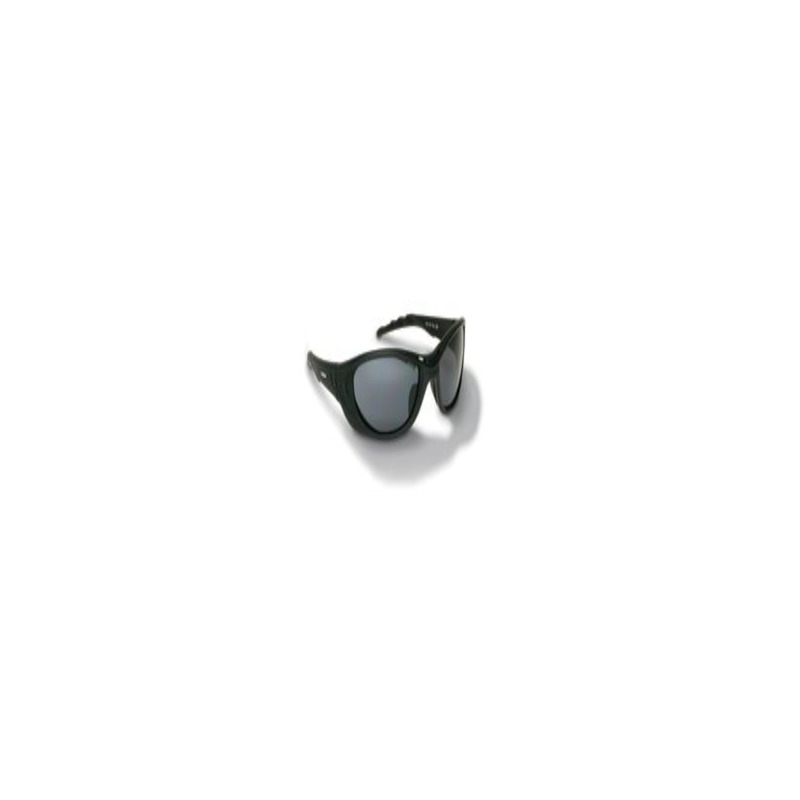 A protective eyewear interpretation of retro styling, Nuvo� has the classic dual lens look in a lightweight, comfortable 1.2 oz. frame. Tough, anti-fog coated polycarbonate lenses with integral sideshields provide 99.9% UV protection and excellent profile protection. Brow bar offers protection form above and cushion on impact. Soft tipped adjustable temples and soft, universal-fit nosepiece give Nuvo� all-day comfort. Tough anti-fog coated polycarbonate lenses. 99.9% UV protection. 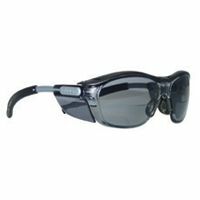 Classic look of a dual lens with soft nosepiece Integral side-shields for profile protection Brow bar offers cushioned protection Nuvo� has a fashionable dual-lens look Tough, lightweight, one-piece lens with outstanding protective and comfort features. Meets ANSI Z87.1 Standard This item cannot be shipped to APO/FPO addresses.